In case you didn’t know, the month of April is Stress Awareness Month, so fear not, we’ll be here to fill you in on all of the little exercises and meditations you can utilize to manage your stress. We’re also here to let you know that, believe it or not, a little bit of stress can also be good for you. That’s right, stressing — as long as it’s not in excess — can have a positive effect on your body. Let’s talk about the science behind it. David Brudö, CEO and Co-Founder of the mental wellbeing and personal development app, Remente, tells HelloGiggles about the positive impacts of stress. "Stress, in small doses, can have a positive effect on the body and is responsible for the fight-or-flight instinct that helps us survive," Brudö says. Generally, stress is considered a debilitating emotion that can lower our immune system and put stress on our heart, and it’s linked to depression and anxiety. The pressure of work, relationships, and family can contribute to stress, resulting in destructive consequences. However, doctors and professionals say that moderate doses of stress can actually be a great thing to motivate, succeed, and cope. "The chemicals sent through our body when we feel stress, like cortisol and epinephrine, are responsible for our quick reflexes, helping us avoid physical danger," Brudö says. "Similarly, short amounts of stress can help us stay motivated, achieve goals and complete tasks." Brudö also tells HG that “stress can boost our memory and immune system, protecting the body from infection and increasing focus.” Doesn’t sound so bad, does it? Hans Seley, the father of stress research, coined the term in 1936. He defined it as the “body’s nonspecific response to a demand placed on it.” He also distinguished between good stress and harmful stress. The good stress is called “eustress” and it gives us the motivation to want to achieve, grow, and work towards more in our lives. Without a little bit of stress, lack of motivation, desire, and dreams result in low esteem and boredom. Stress also varies from person to person, making it difficult to properly define. While some people may be stressed to use public transit, others appear relaxed and at ease, so what might be a good amount of stress for one person may not be suitable for another. The key is understanding your own stress levels and determining when you feel like you’ve crossed into dangerous territory. Here are three specific ways stress can bring a positive impact on your life. Stress can be a motivating factor in accomplishing tasks that we are stressed about in the first place. Instead of waiting last minute to finish a task, stress can help motivate you to work harder. Being able to control your stress is key, as too much stress can be crippling and result in the opposite effect. Once you learn to take command over your stress, it can be your greatest driving force. Eustress contributes to higher success rates because it can result in improvements with work and production. In fact, stress is also a cognitive enhancer, which can heighten professional and academic knowledge. Combine that with the fact that stress helps you focus and finish the task at hand, and you’re unstoppable. Eustress can help you understand how to manage your distress more effectively. Experiencing small doses of stress can guide you in future situations where you can transform your stress into something more positive. The more you practice coping with stress, the better you will become in managing and addressing it when it appears in a displeasing way. Understanding stress can be difficult at first. It definitely takes practice to manage. No matter what, keep in mind that excessive, untreated stress can lead to high blood pressure, depression, and can effect your productivity. 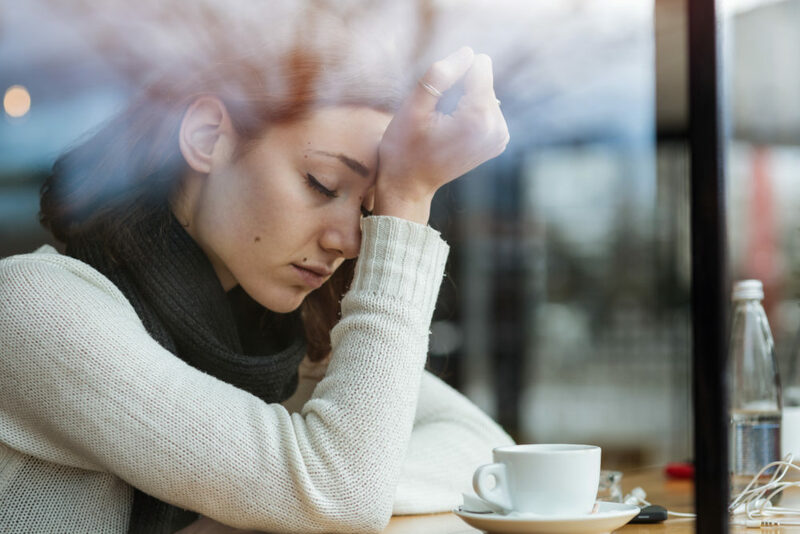 If you’re curious as to what “bad stress” may look like, here are some signs to look out for: inability to concentrate, body aches, headaches, irritability, trouble sleeping, appetite changes, more anxiety and anger. Clearly, stress and eustress result in very different outcomes, emotions, and accomplishments. If your stress is interfering with your personal and professional tasks, you may want to look into self-care practices. However, if that little bit of stress keeps you pumped and motivated, pat yourself on the back and keep managing your eustress at a healthy level!